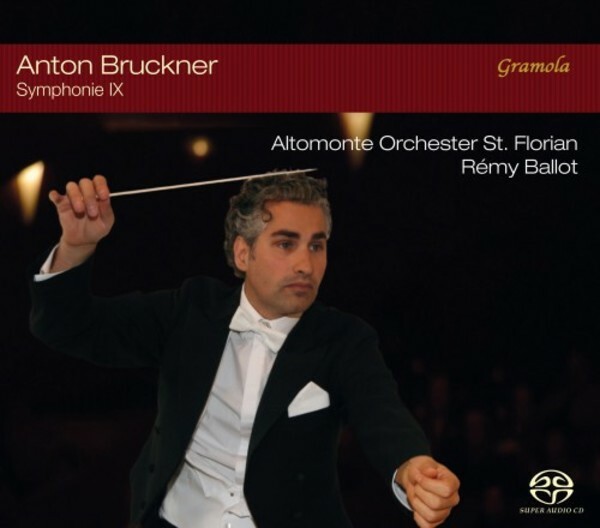 'The loveliest thing that I [Bruckner] have ever composed' was performed in summer 2015 at the Bruckner Festival at the Monastery of St Florian in Upper Austria, Anton Bruckner's refuge, home and final resting place. This refers to the Adagio of his unfinished Symphony no.9, dedicated to the 'dear Lord', and his wilful personal confrontation with the transition to the hereafter. R�my Ballot and the Altomonte Orchestra form a liaison with the extraordinary acoustics of the basilica � virtually the Holy Spirit in this musical Trinity � and transform the woe and sorrow of the bereaved as well as the ambiguity about what remains after one's death into heavenly spheres. Bonus disc: The transcription for two pianos presented on Disc 2 was made by Matthias Giesen and Klaus Laczika using the transcription by Dr Karl Grunsky (1911) and adapting it to Bruckner�s original text in terms of instrumentation and dynamics. Matthias Giesen here plays a Bl�thner piano, while Klaus Laczika plays a Yamaha instrument.